The British bond yields beat its counterparts the US and Germany but instead pound fell against the strong USD. USD gained momentum by the wage growth and on the other side GBP still facing the fear of Brexit and the negative impact of manufacturing PMI data. The pair is finding support at 1.4160 with the resistance at 1.4240. 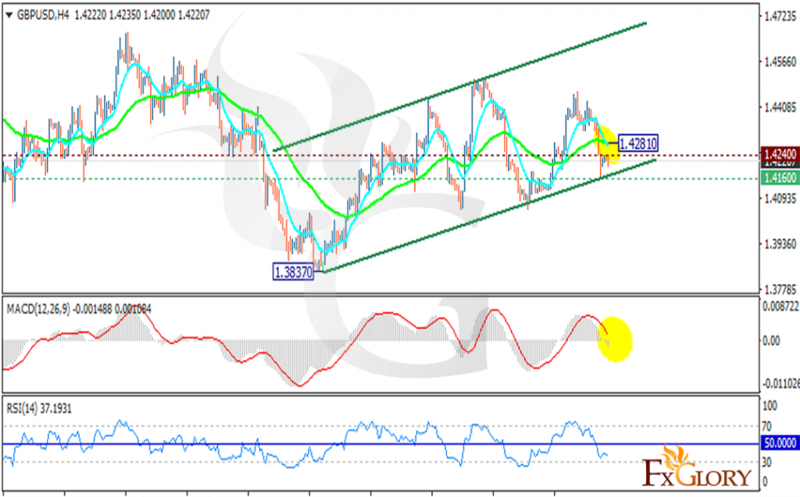 The RSI is below the 50 level and the MACD indicator is in neutral zone showing the price correction. The EMA of 50 is meeting the EMA of 11 at 1.4281. Traders can wait for a better trading setup. From the upside, the 1.4514 breakout will push the price higher changing resistance to 1.4667 and on the other hand, 1.4052 break will complete the rebound from 1.3837 therefore may drop the price lower.